Why is it that as a nation and a race we are able to find a way to abuse any provision made for the common good? “if for the purpose of securing the ends of justice, quashing of FIR becomes necessary, Section 320 would not be a bar to the exercise of power of quashing. 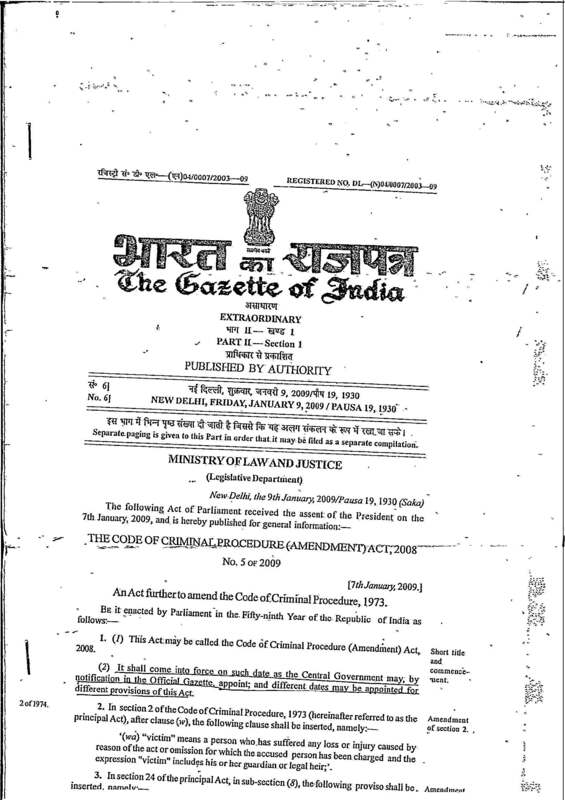 It was also observed that in case of matrimonial disputes it becomes the duty of the Court to encourage genuine settlements of matrimonial disputes”. Justice Dhingra also explained The Reasoning Behind Permitting The Compounding Of 498A Cases. Here is the issue. These days, false 498A cases are filed to extort money and once that is done, the HC is approached to quash it. Those who choose to fight back and stand up against the extortion racket face years of litigation and running around the trial courts. Their cases can’t get quashed as the High Courts are reluctant to do so. Their is no penalty imposed for filing a false case and it is known that a 498A case, though non-compoundable, can be withdrawn in the guise of a “compromise” by the complainant. The compounding of 498A cases is thus allowing the extortion racket to grow. Here are 4 judgments from the same day from the DelhiHC which were quashed and all of them were done as a compromise was reached. In no way do I mean any disrespect to the honorable judge nor am I questioning the reasoning behind these judgments. All I am attempting to do is to ask the Judiciary to scrutinize the terms of these “compromises” to verify that they fulfill the intentions of the honorable Supreme Court. I am saying this, as inadvertently, the benevolence of the courts is being abused and leading to the propagation of this extortion racket. Those of us, who stand up to our principles are spending the most productive years of our lives facing persecution for our beliefs and find ourselves defenseless and stripped of our dignity as we had to see our family in jail due to baseless allegations. If we had “compromised” by paying up, the cases would have been withdrawn. Since we have chosen to fight, we find ourselves entangled in a criminal case for years to come only to be acquitted eventually. I pray to the courts to look at the effect your benevolence is having on the likes of us and remedy the situation by ensuring that the law remains a law and not a tool for extortion.